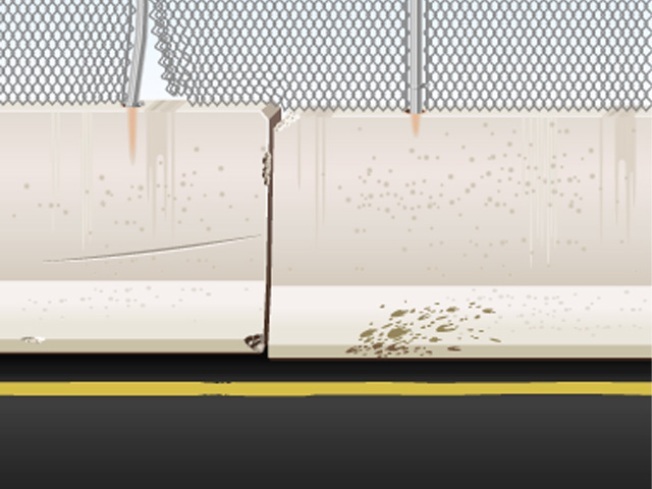 Jersey barriers need a makeover. You would think by now, given how often they’re used, someone in the world of security would have come up with a nicer-looking Jersey barrier. The ugly concrete clumps have been plopped down on 16th Street and all around the normally elegant Hay-Adams Hotel, now a bunker temporarily housing the Obamas. And it wouldn’t hurt if the city and Secret Service could get on the same page about properly redirecting traffic around the area. H Street at 16th is a major one-way thoroughfare eastbound. It carries all the traffic that, before all the security fear, once flowed along Pennsylvania Avenue or E Street farther south. Of course, those currents of American commerce remain closed. The current traffic snarl, which will continue until the Obamas move to the Blair House in about a week, spreads for several blocks, as far down 17th as the Tidal Basin. Is it too much to ask that police officers get out of their cars, roust double-parked trucks and help divert and drive traffic, rather than watch it crawl? We were downtown Saturday near the Verizon Center when the Georgetown University basketball game ended and fans streamed out onto the streets. Hundreds if not thousands of people were walking in any and every direction, helping to snarl traffic. The D.C. police officers assigned to the area (the ones we saw) were sitting in patrol cars or standing near them doing nothing to control the crowd. It was an unsafe and frustrating situation. We’re just kidding about that, but the Presidential Inaugural Committee has announced an official “Neighborhood Inaugural Ball” that the president will visit. It will be one of several balls held in the sprawling Washington Convention Center, but the committee calls this ball the “premier” event of the evening. It will be electronically hooked up with neighborhood events held across the country. Here’s the key thing for us: Some tickets will be set aside for District “residents.” We wish they’d be set aside for District “citizens.” There are a whole lot of folks who live in the District who don’t claim the city as their legal residence. And maybe the voting-rights folks can devise a little pin or banner to wear on their clothing to remind the new president that he said he supports voting rights for D.C.
Wouldn’t it be great if the newly inaugurated president mentioned it during his visit that special night? So what if 10,000 charter buses stream into our city on Inauguration Day? We’re not worried about the approximately 500,000 people (50 per bus) who will lumber down the bus steps and hope to get within a few hundred yards of the ceremonies or parade. But some people are worried about all those buses belching fumes throughout the day, and maybe idling for long periods in the same place. In an interview with NBC4 after an appearance with us on WAMU’s “Kojo Nnamdi Politics Hour,” city administrator Dan Tangherlini said he’s aware of the potential noxious problem. Tangherlini said bus companies and organizations will be warned about the anti-idling law in the District. City regulations say vehicles must not idle for more than three minutes while parked, unless the outside temperature is 32 degrees Fahrenheit or below or there are 12 or more people on a bus that is operating air-conditioning equipment. The fine for the first offense is $50, and subsequent fines are $100. That may not be enough to discourage the practice. And who’s going to monitor 10,000 buses? A caller to WAMU asked why there’s been no public discussion about what cab drivers will be allowed to do on Inauguration Day. Tangherlini said cabs will be allowed to cross over bridges closed to all traffic but buses and emergency vehicles. “We really think that cabs are going to play a very important and significant role in supporting the transportation infrastructure,” he said. But cabs will find themselves in heavy traffic if they get anywhere near the Mall or parade. And you can’t make much money stuck in traffic. It was held Jan. 2. It wasn’t quite the “exhilarating” swearing-in ceremonies advertised by the chairman’s office. But it was a nice event -- even though one newspaper photo had an odd image of Michael Brown being sworn in as the new at-large council member: The big photo showed Mayor Adrian Fenty and others on stage clapping politely, but their faces looked as if they were wishing they were somewhere else. The Market Inn is no more. The Southwest seafood restaurant, which opened in 1959, closed New Year’s Eve. Amazingly, it had paid the same rent for 50 years, and the lease finally ran out. We had eaten there in our U.S. Navy days back in 1968. It was a tired restaurant in more recent times, but a lot of people loved it.